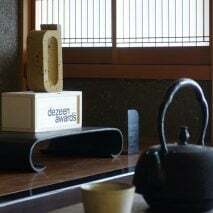 Wood is taking over from steel and concrete as the architectural wonder material of the 21st century, with architects praising its sustainability, quality and speed of construction. (+ slideshow). New types of engineered timber that are considerably stronger and more stable than regular wood are allowing architects to build bigger and higher, with timber skyscrapers now a real prospect. 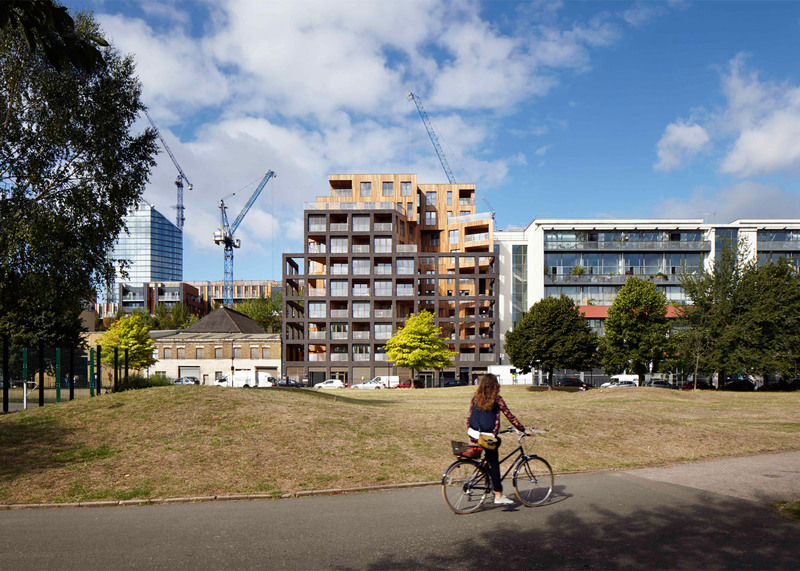 "This is the beginning of the timber age," said UK architect Andrew Waugh, whose firm Waugh Thistleton is behind a housing development in London that will use more timber than any other project in the world. According to Waugh, building in wood is "super fast, super accurate, and also makes the most amazingly beautiful spaces." 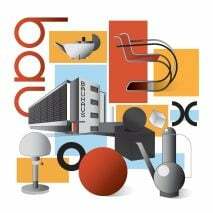 He said: "These are buildings that feel very good to be in, very robust and very solid." 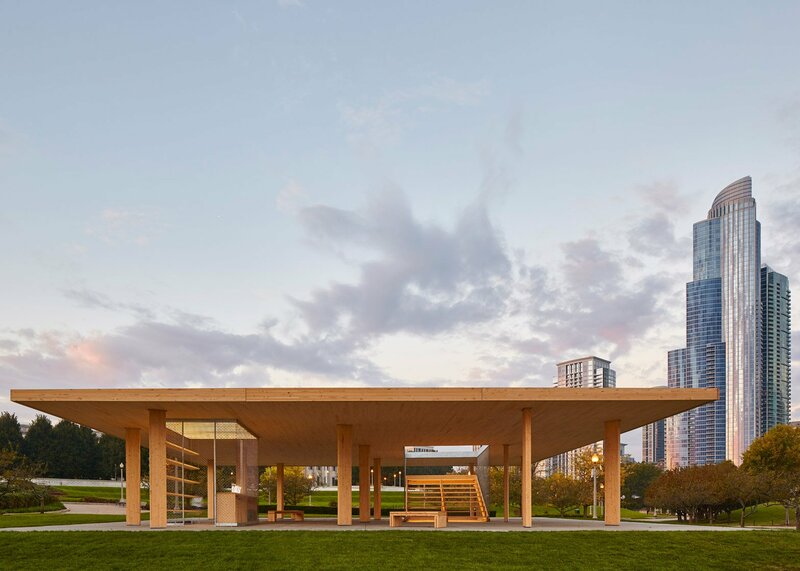 The product making this new breed of "massive timber" structures possible is cross-laminated timber – an engineered wood consisting of laminated timber sections. 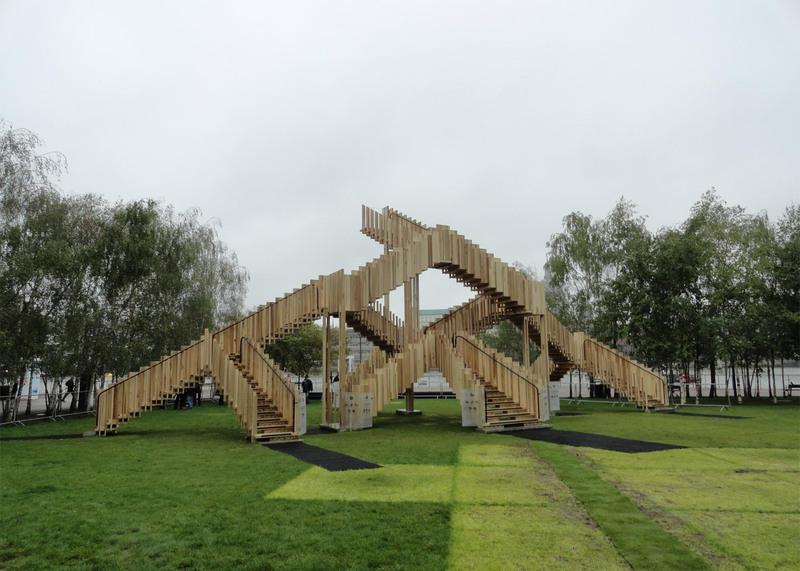 Usually referred to as CLT, the material is produced by layering three, five or seven timber sections of wood at right angles, then glueing them together. 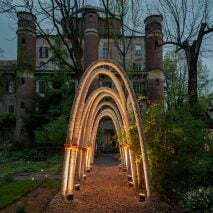 It can be prefabricated in a factory to any shape or dimension, and is much lighter than its steel and concrete counterparts. "CLT is the future of construction. 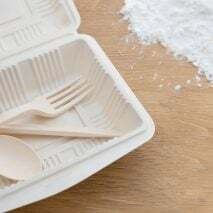 Timber is the new concrete," said Alex de Rijke, director of London-based firm dRMM, which has been working with the material for 10 years. 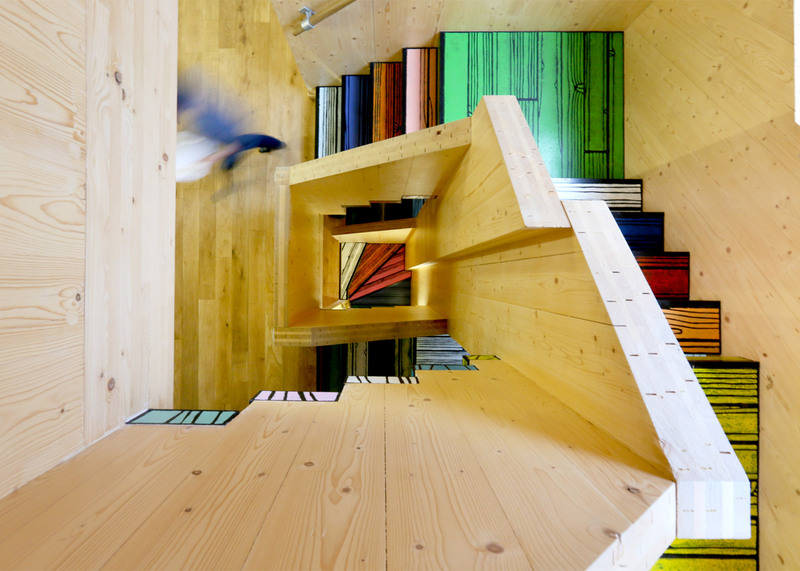 Its CLT projects include a wooden house in Hackney, a trio of residential towers in Norway, and a staircase installation that pioneered the use of hardwood CLT. "CLT has opportunities for significant advantages over steel, concrete or masonry construction in terms of environmental credentials, speed, weight, and structure as finish," said de Rijke. "The 17th century was the age of stone," he said. "The 18th century was the peak of brick. The 19th century was the era of iron. 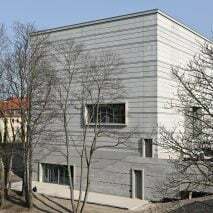 The 20th century was the century of concrete. The 21st century will be the time for timber." 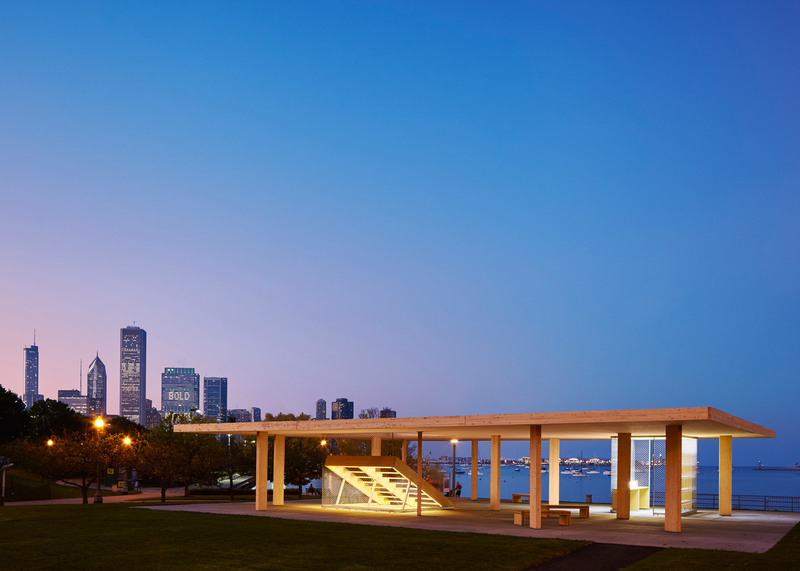 Ultramoderne claims their Lakefront Kiosk for the Chicago Architecture Biennial has the "biggest wooden roof possible"
Several new buildings demonstrate the material's potential, including a Chicago pavilion with an expansive self-supporting roof and the high-rise apartment building that won this year's prestigious Finlandia Prize for Architecture. 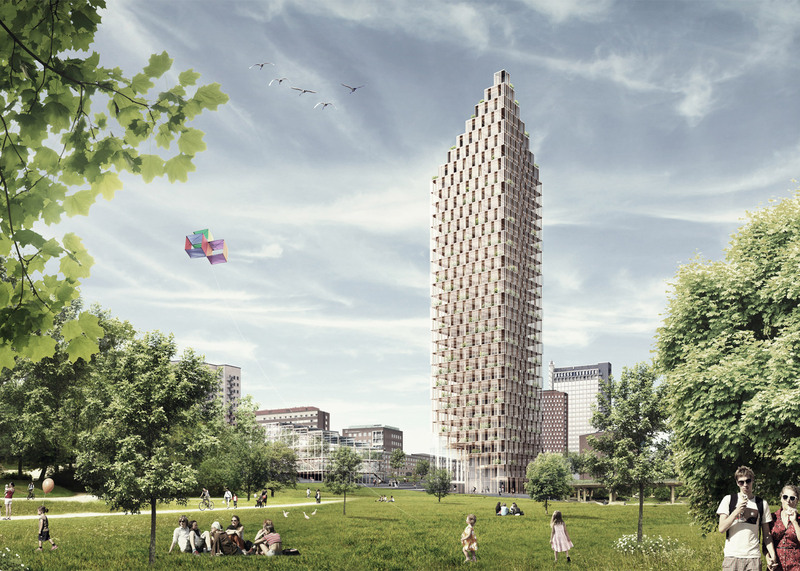 There are also timber skyscrapers planned for Sweden, Canada and Austria. 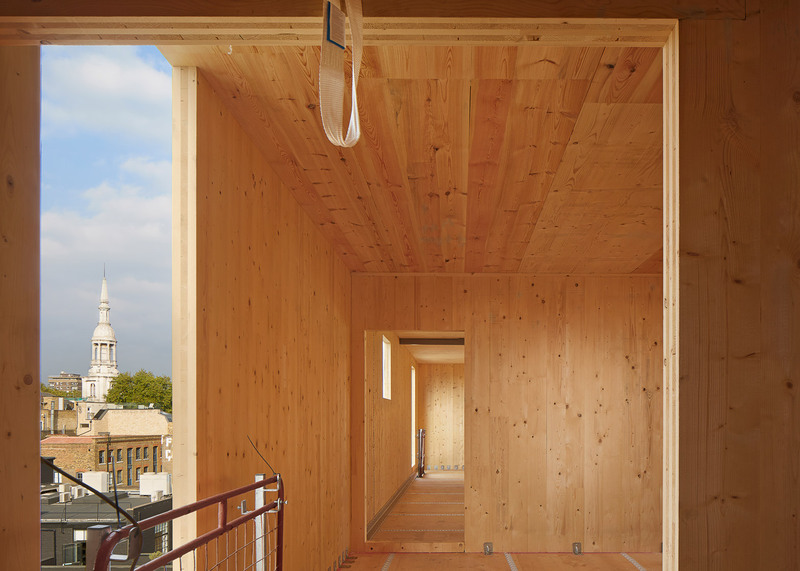 "Mass timber buildings are changing the scale of what is possible to be built in wood around the world," said Canadian architect Michael Green, who urged architects and engineers to swap steel and concrete for timber in his 2012 publication The Case For Tall Wood. 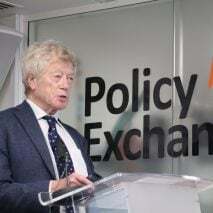 Green said that, while there has been no reason to challenge the role of steel and concrete in construction before, climate change now demands that we do. 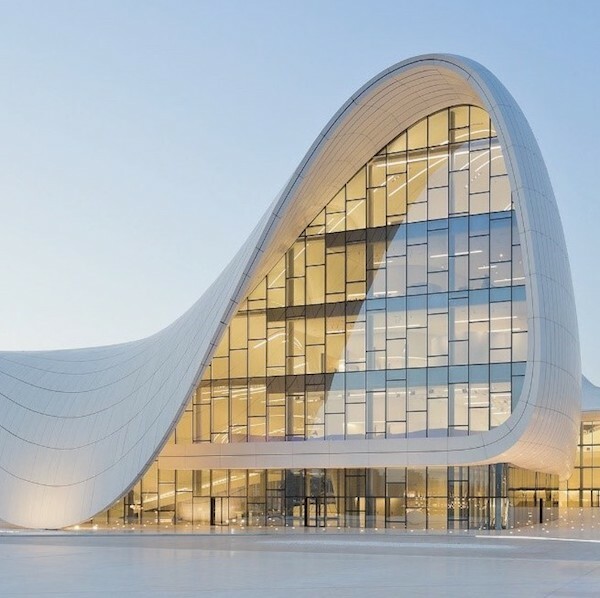 "For a century and a half, steel and concrete have shaped the skylines of the world," he told Dezeen. 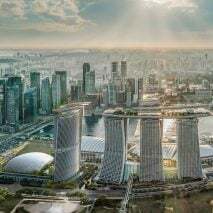 "They are wonderful materials that allow big buildings, bridges and roads, but we now also know that they are hugely energy demanding to produce and have significant carbon footprints." 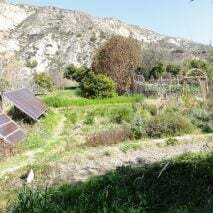 "Climate change and the need for more urban housing collide in a crisis that demands building solutions with low energy and low carbon footprints," he said. "As a renewable material grown by the power of the sun, wood offers us a new way to think about our future. To do so means reinventing wood; making it stronger, more firesafe, more durable and sourced from sustainably managed forests." 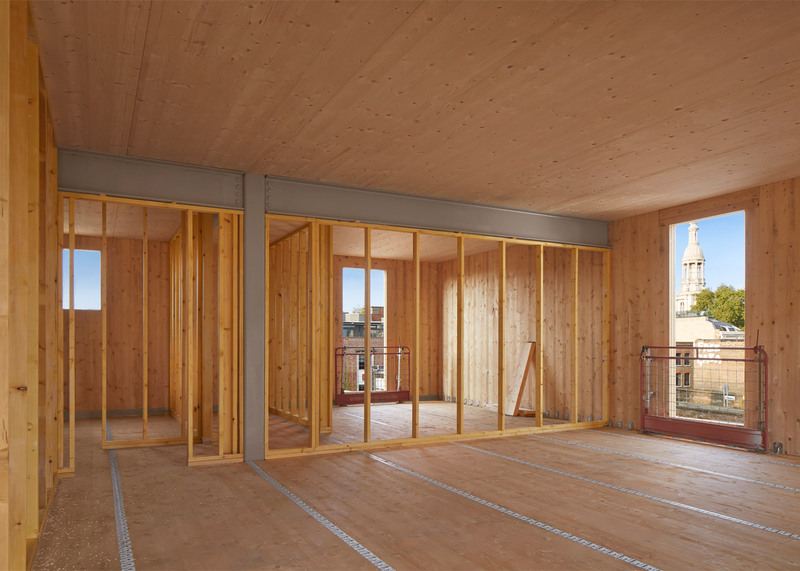 One of the latest developments in timber construction is the introduction of hybrid CLT systems – which involve pairing engineered timber with steel components. 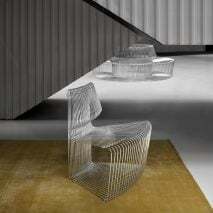 These are becoming increasingly popular, because they make more complex forms possible. 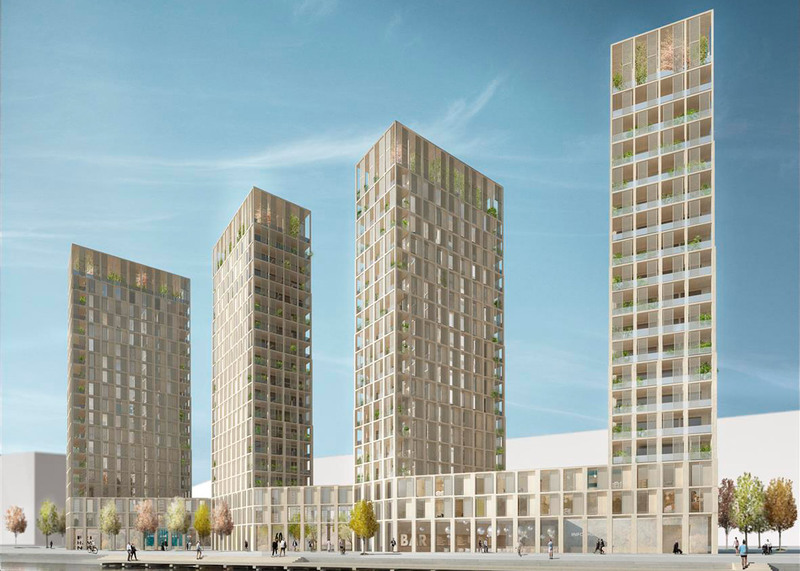 Alex Smith of London-based Hawkins\Brown, the firm behind the tallest hybrid-CLT building in Europe, believes this type of system is more attractive to property developers, who initially were "pessimistic" about using wood. "I think there is a lot of potential in timber-hybrid structures to enable more sustainable and more ambitious structures," he told Dezeen. Hawkins\Brown claims its 33-metre-high apartment block in London's Shoreditch is "the tallest building to use structural cross-laminated timber in Europe"
His project, called The Cube, is a 33-metre-high apartment block. It features a predominantly CLT structure, but also includes some steel elements that were used to create cantilevered overhangs. 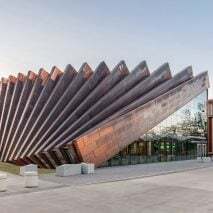 "By combining the stiffness of steel with more insulative prefabricated timber panels, the structure forms a unified solution, which by volume is 90 per cent timber," added Smith. "I often liken it to Ikea shelving systems where a simple steel cross bracing can stiffen the structure, despite appearing relatively flimsy." Waugh has also worked with hybrid structures but is less convinced. 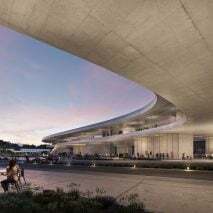 He describes them as the architecture equivalent of the first motor vehicles, which were designed to look like horse-drawn carriages to make passengers feel safe. 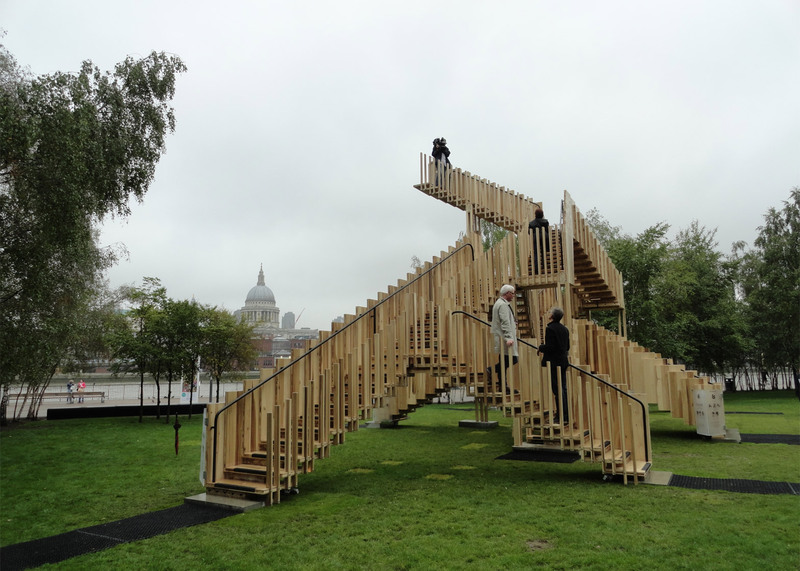 "It's a transitory stage in the development of timber architecture," he said. "A lot of the hybrid schemes we have seen in the press have got people's excitement going which is great. But how relevant they are, I'm not sure." Waugh's completed CLT projects include the nine-storey Murray Grove building that, when it completed in 2009, was believed to be the world's tallest modern timber residential building. 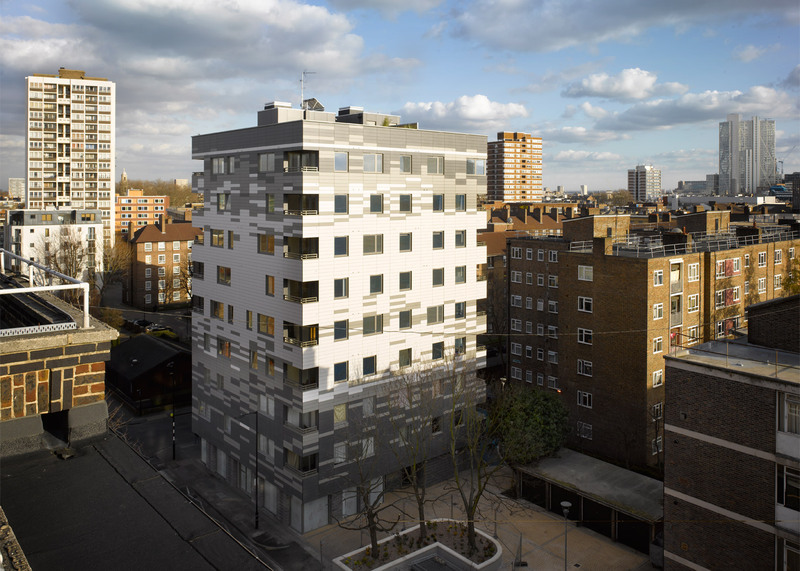 He was also behind the UK's first CLT building, and is now working with Japanese architect Shigeru Ban on a structure featuring CLT floor slabs. 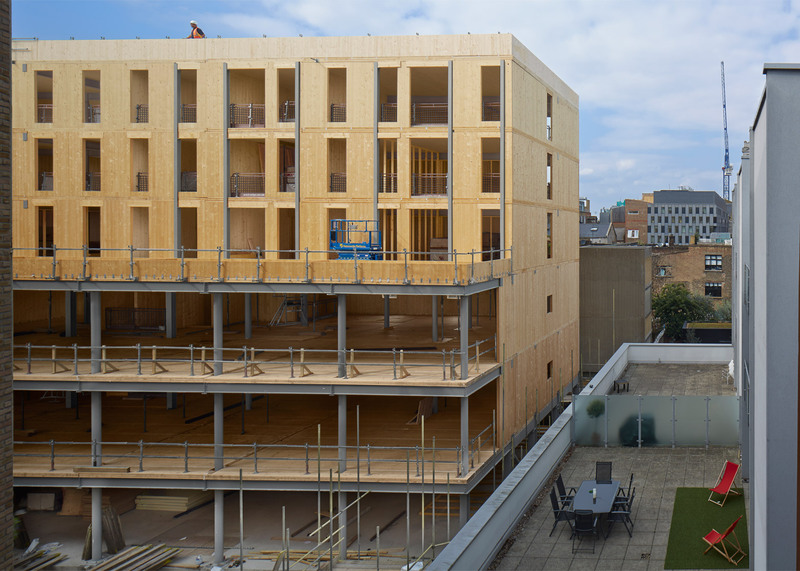 He claims that a CLT structure can be constructed 50 per cent faster than a concrete building, requires fewer deliveries to site, and offers a far more pleasant environment for construction workers. "Our building sites are fantastic places to be," he explained. "Everyone is happy, putting these buildings together with cordless screwdrivers and nail guns. There are no grinders, no jackhammers, and there aren't any harsh environments." "It is just better quality building," he continued. "We've had residents from Murray Grove tell us 'we never use our heating' and 'we have never heard our neighbours'." "And I feel like the more parametric, bizarre, shape-making architecture is a ridiculous obsession of 20th century architects," he added. 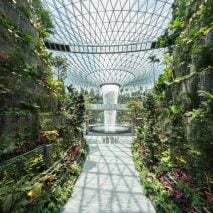 We have issues around us such as climate change and massive housing shortages, so the architecture profession needs to be celebrating ideas of sustainability and great buildings, not ridiculous shapes." 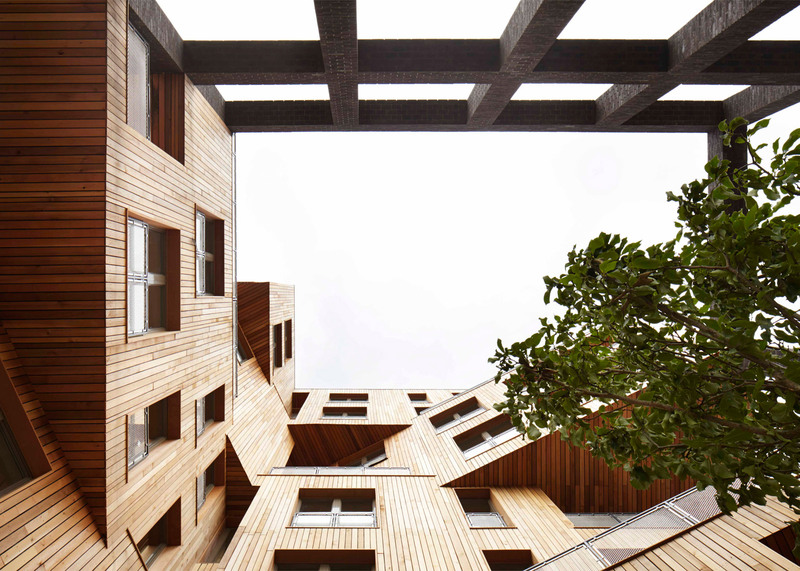 CF Møller architect Ola Jonsson also believes wood is the future: "We have researched massive wood constructions for many years and strongly believe that it is the smartest way to build multi-storey buildings in Scandinavia." The architect – who is currently working on a "woodscraper" for Stockholm – believes the biggest challenge to overcome is not the limits of the material, instead it is the lack of experience within the construction industry. "I think massive wood constructions give urban planners, architects and designers great possibilities to develop innovative and sustainable architecture," he told Dezeen. "But even though we have great production of quality wood in Sweden, the knowledge and the industry is not prepared." 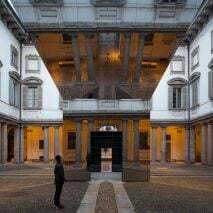 De Rijke also said that negative preconceptions were the biggest inhibitor to a new age of timber architecture. Although dRMM has designed over 30 CLT buildings and built 12, he says he still faces prejudice about choosing wood over concrete. "The challenges are not technical but prejudice," he said. 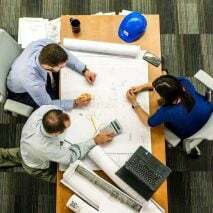 "For example, banks or mortgage providers prefer concrete over engineered timber for what they mistakenly perceive as collateral or insurance risk." One of the largest obstacles faced by large-scale wooden buildings are concerns around fire safety. 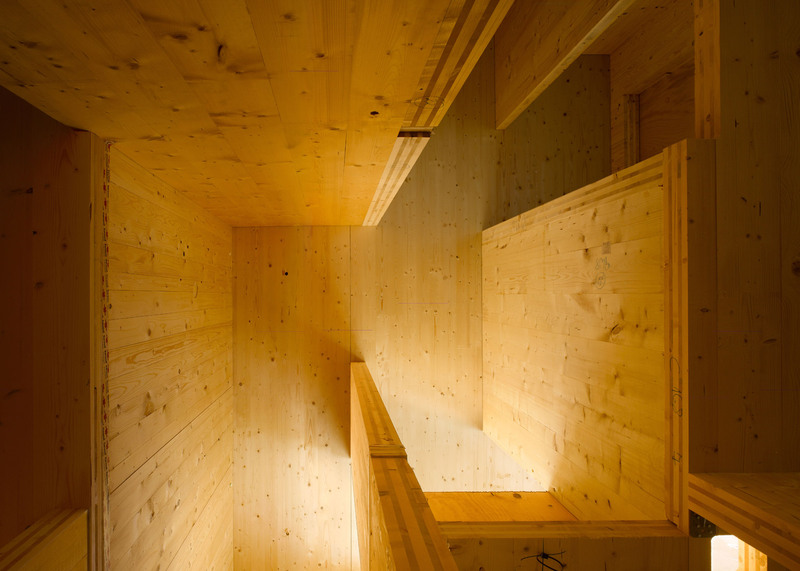 Many countries impose a limit on the height of timber buildings for this reason. 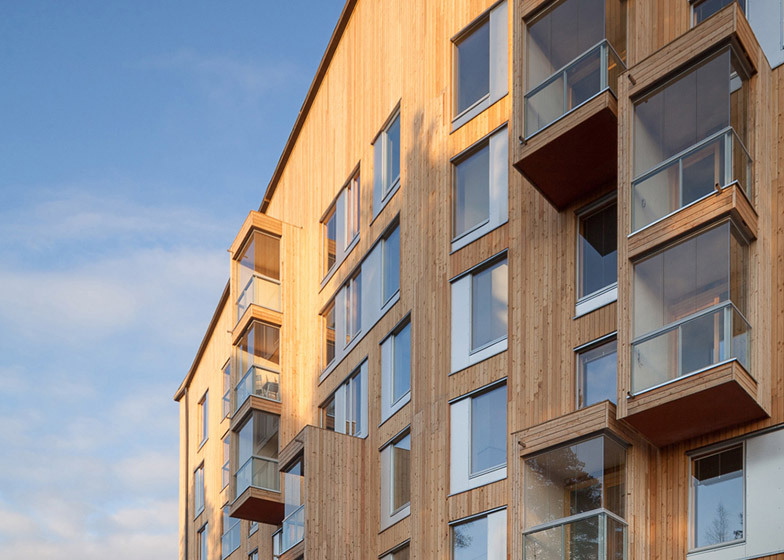 So when Finland changed its building code in 2010, making it possible to build wooden buildings up to eight storeys for the first time, architect Anssi Lassila of OOPEAA set out to change public perception. 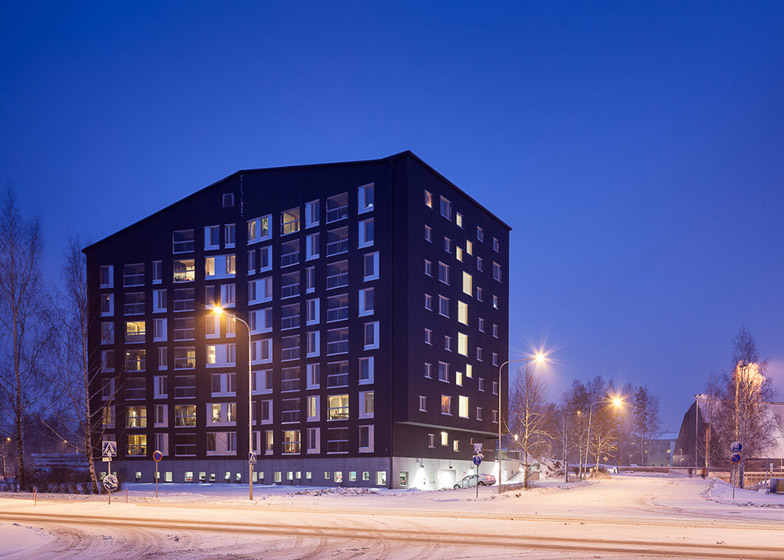 His Finlandia Prize-winning Puukuokka apartment building is the tallest of its kind in the country, with an all-CLT structure covered in a fire-resistant coating. "It has been estimated that, when realised in accordance with the regulations, a wooden apartment building is 50 times more fire safe than a similar apartment building made of concrete," he said. "We now need to consider the further development of CLT's potential and study alternatives for the use of glue."